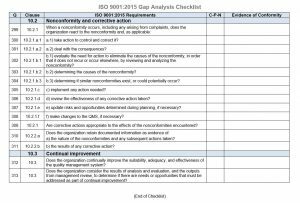 Larry Whittington has developed an extensive, 27 page, ISO 9001:2015 Gap Analysis Checklist. It contains 313 questions for organizations new to the ISO 9001 requirements standard for quality management systems. 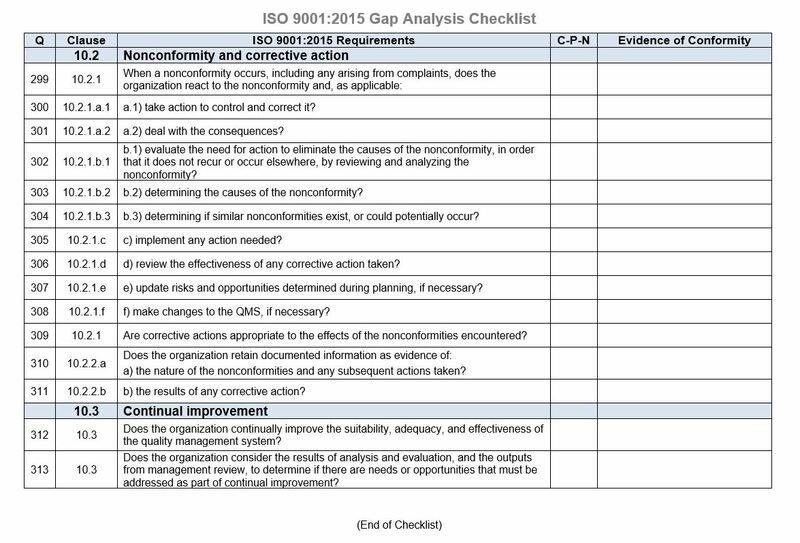 Note: This gap analysis checklist can be used to evaluate the current conformity of a quality management system against the requirements of ISO 9001:2015. Additional criteria for a quality management system may be specified in customer contracts, regulatory documents, and your organization’s own documents, but they are not considered during a gap analysis. These important other requirements should be addressed in later internal audits.